As is customary on July 1st, the final leg of Everitt Memorial Highway from Bunny Flat to the road’s end at the Old Ski Bowl is now open! 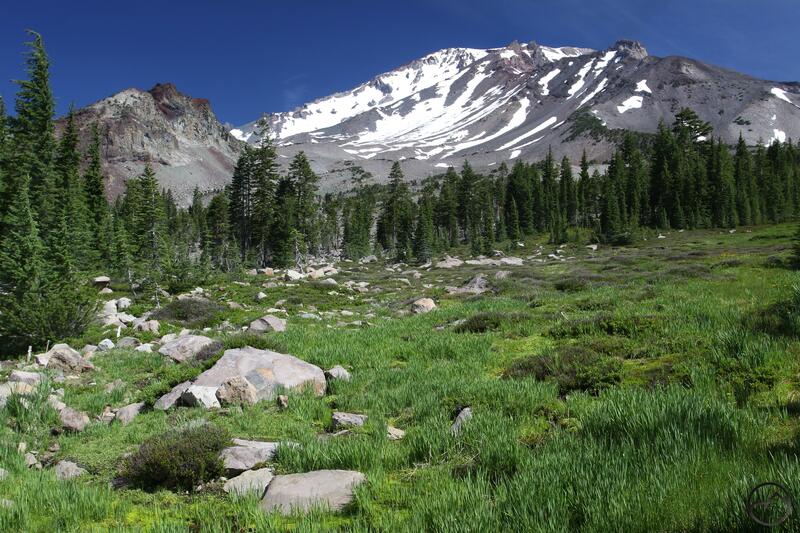 This means that hikers can now easily access some of the best trails on Mount Shasta. These are some of the best, most scenic hikes in Northern California. Staggering views of Mount Shasta, awesome perspectives of the surrounding mountains, including Lassen Peak, the Trinity Divide and the jagged Trinity Alps can all be had for the price of a short drive. Hikers can now explore the alpine ruins of the old ski park, barren volcanic valleys, ancient forests of red fir and hemlock, lush meadows and gushing springs. In short, this is a hiker’s paradise and it is now accessed easily. One nice development is the improvements made on the road near the upper Panther Meadow trailhead. The asphalt had nearly been obliterated but that section as now repaved very nicely. I took my young son up with me to check out the conditions around the Old Ski Bowl and Panther Meadow. The meadows are gorgeous, though the wildflowers have not shown up in full vigor yet. Mount Shasta does not have a ton of snow on it, but it is still refreshingly white. The springs look great, gushing their delicious, pure water. 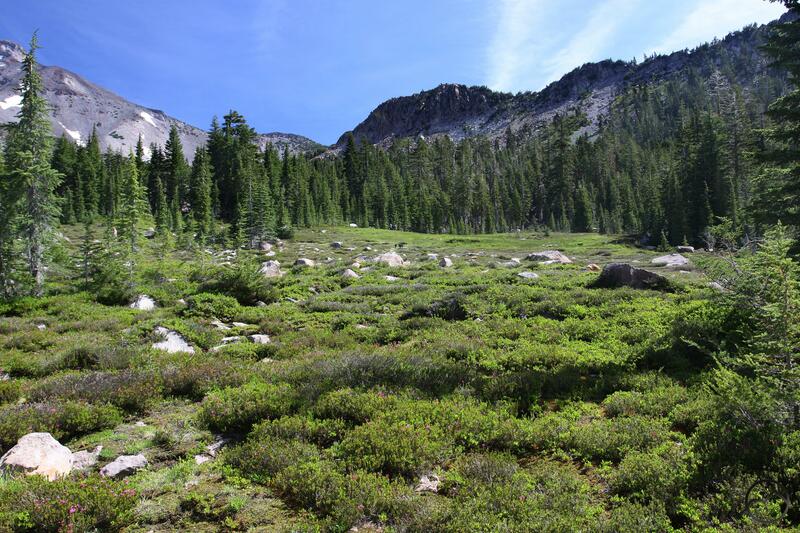 The hike around Panther Meadow is a perfect outing for kids. There are tons of fallen logs and huge boulders for them to climb on. The step stones across the meadow are fun for them to hop on and it is a good opportunity for kids to learn the virtues of not trampling delicate landscapes. Not only did my son seemingly climb every rock. We had to stop and drink from every spring we crossed. Time to head to the country folks! Even when it is baking down low, the air is cooler on Mount Shasta and the cold spring water is endlessly refreshing for weary, thirsty travelers! 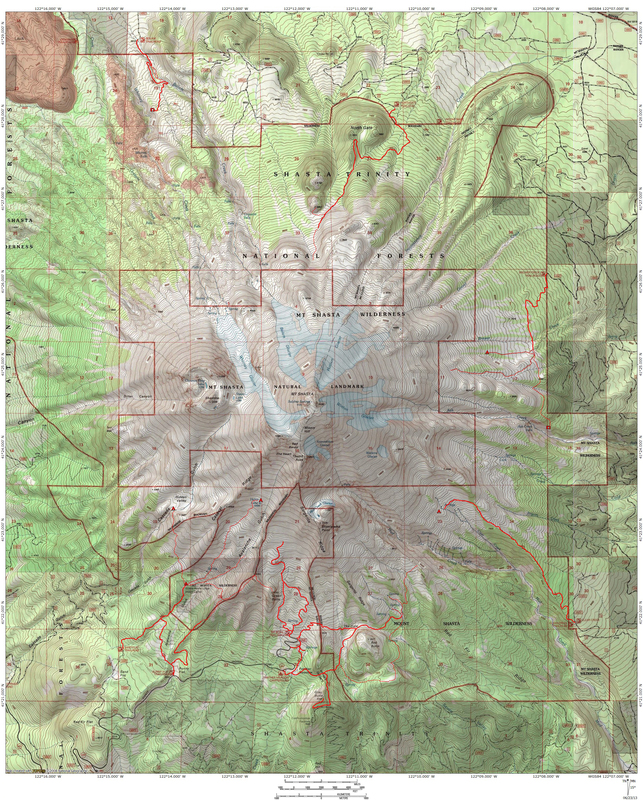 ← Mount Shasta Hiking Guidebook Released! Boy that’s some beautiful country you have up there…love to see it someday and take my grandson when he’s older. Thanks for the great writeup.